On 20 June 2018, a Memorandum of Understanding (MoU) was signed between WHITRAP Shanghai and the South East Region (Kumitat Regjonali Xlokk) in Malta for the implementation of the UNESCO Historic Urban Landscape Recommendation. Since then, the South East Region of Malta becomes a new pilot case of the WHITRAP HUL Pilot Cities Programme. Currently the South East Region is developing various management and governance mechanisms through the compilation of an Action Plan following UN Global Compact Cities Programme (please refer to http://www.regjunxlokk.org/action-plan.html), which is also highly geared at the HUL. The South East Region also joined the League of Historic Cities (please refer to http://www2.city.kyoto.lg.jp/somu/kokusai/lhcs/). The main objective to implement HUL at this moment and launch the South East Region as Pilot Case is to develop further the HUL application through diagnostic and sustainability tools in an integrated framework, which may rich the experience of HUL application, especially in a high-density site with a high concentration of World Heritage Site, like the South East Region. The new Heritage Plan “Our People, Culture & Place: A plan to sustain Ballarat’s heritage 2017 – 2030” was adopted by the Ballarat City Council in December 2017. It recognises that the responsibility for heritage is shared, having been shaped by the local community, key stakeholders and across all departments of the City of Ballarat through focused conversations since 2013, as part of the Historic Urban Landscape (HUL) program. Their priorities for sustaining Ballarat’s heritage, together with background studies into local opportunities for heritage have formed the basis of specific objectives and deliverables set out in the plan. 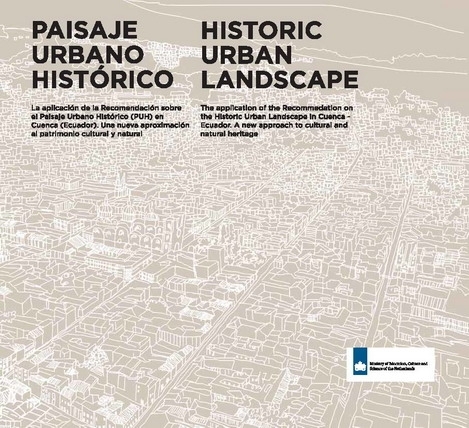 The HUL Guidebook is a practical guide to UNESCO's Recommendation on the Historic Urban Landscape (HUL) and the result of a cooperation agreement between the project partners, signed in December 2015. It was launched at the League of Historical Cities 15th World Conference, in Bad Ischl, Austria, on June 7 2016. The Guidebook is now available - download here today (4mb pdf). WHITRAP, Ballarat City and the Collaborative Research Centre in Australian History Federation University of Australia (CRCAH) signed an MoU in order to develop an HUL Implementation Guide that will assist local authorities to implement the 2011 Recommendation on the Historic Urban Landscape. This document will be published within the context of the forthcoming International League of Historical Cities to be held in Austria next July 2016. Only until January 5th, 2016!